Let’s face it. Throwing a children’s birthday party at the height of summer is a HOT prospect! And not necessarily in a good way. 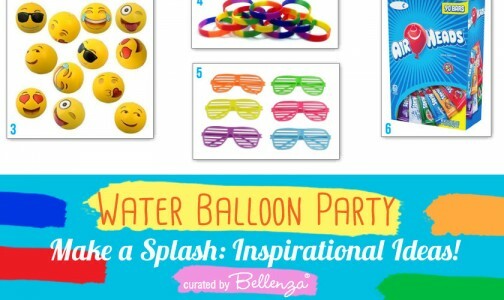 But a Pool Party offers everyone a chance to cool down while enjoying loads of water fun activities—and allows you, the party hosts, to make a huge style splash with the decorations, food and favors! 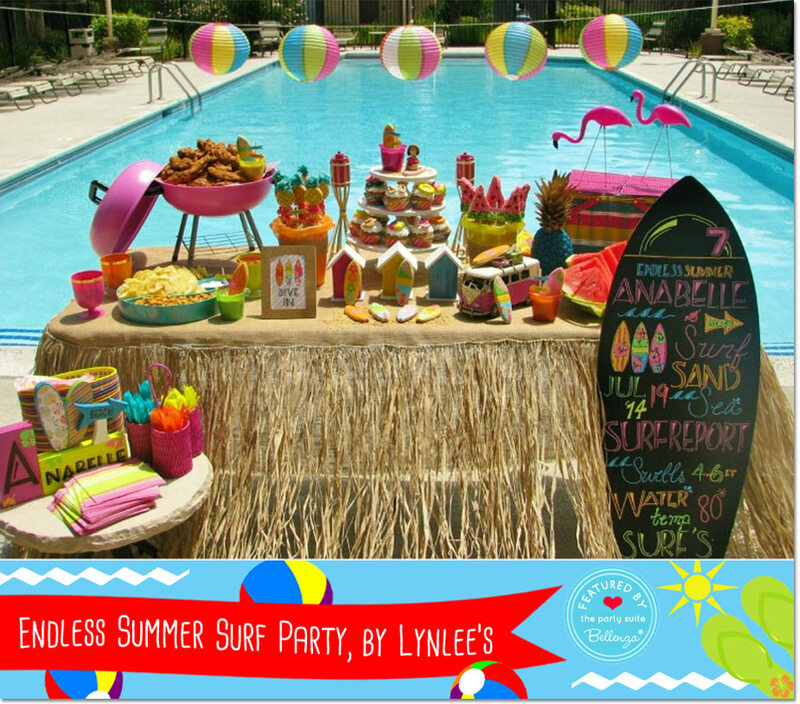 Adorably eye-catching “girly surf theme” ideas by Lynlee—fondant artist, party stylist, book author and blogger over at Lynlee’s—for her daughter’s 7th un-birthday. You’ve got to visit the full post to find out why, and also be blown away by the super-colorful and resourceful party styling! - The entire party palette just screams summer: hot pink, teal, yellow, orange and lime green. - The party welcome sign is a cardboard surfboard that Lynlee designed and hand-lettered with neon chalk markers (she shares the meticulous procedure she used). 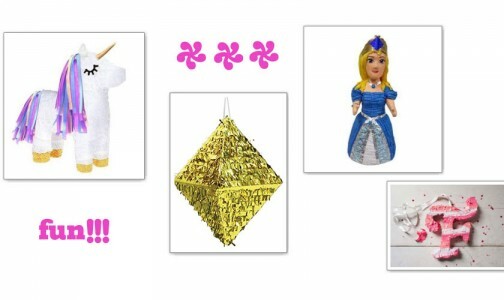 - Amazing themed elements are everywhere in the decorations, food and favors: pineapples, watermelons, mini tiki torches, flip flops, little surfboards, a surfer van, mini beach huts, a tabletop bbq grill, a garland of beach ball paper lanterns, even a pair of pink flamingoes! And all in the same hot neon colors. - Textural touches come via a burlap table cover with a “grass skirt” trim. Plus graham cracker “sand” to prop up the party treats! 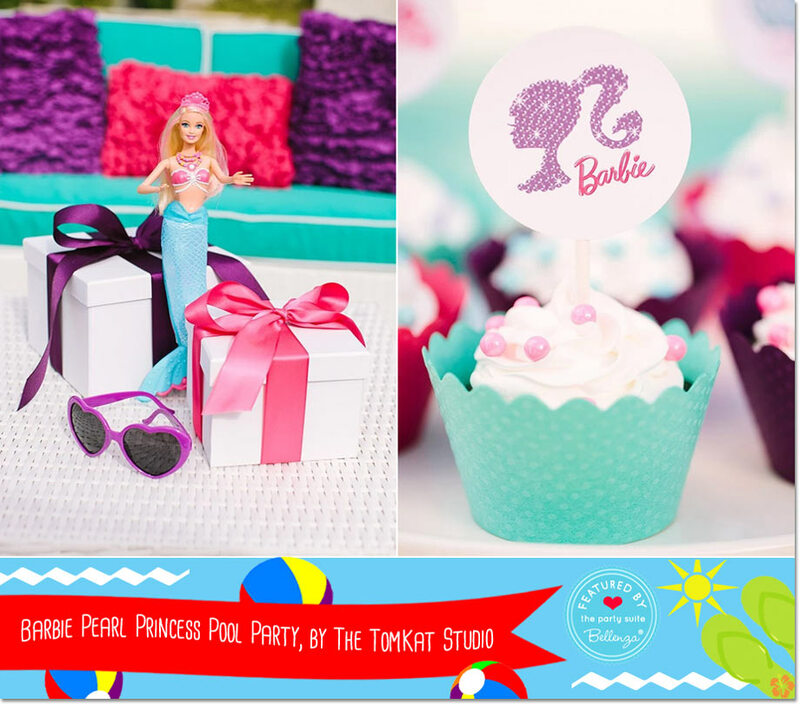 The popular Barbie Pearl Princess doll inspired this girly-glam pool party styled by Kim of The TomKat Studio and featured on Celebration Lane. 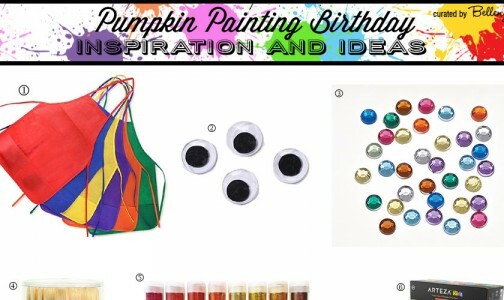 The darling color palette and party printables pull the entire look together, as you’ll see in the full post! - An undersea-inspired color combination of pink, purple and aqua runs throughout the party elements, creating a unified look. - Undersea references like pearls, star fishes, seashells, and oysters with tiny pearls pair up with girly touches like tiaras, heart-shaped sunglasses, “pearl” bead necklaces, mermaid costumes, and of course Barbie Pearl Princess dolls for the celebrant and guests! 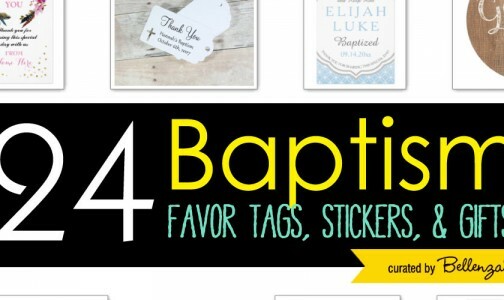 - The adorable printables, also designed by Kim, extend the theme to cupcakes, drinking glasses and favor boxes. So pretty! 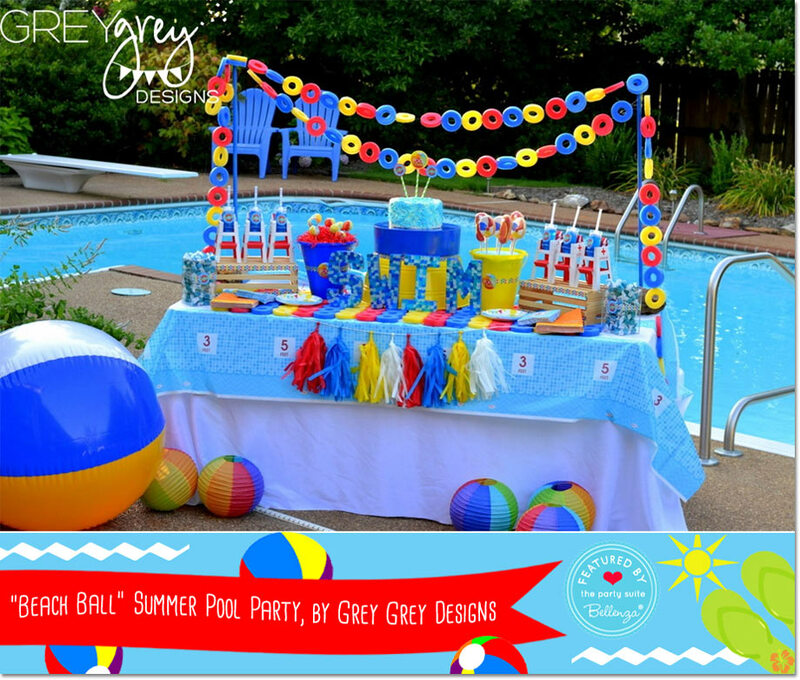 We love this back-to-basics look for a pool party: popping primary colors and fun beach balls! Brittany of Grey Grey Designs pulled it off so creatively, in this collaboration with Birthday Express. 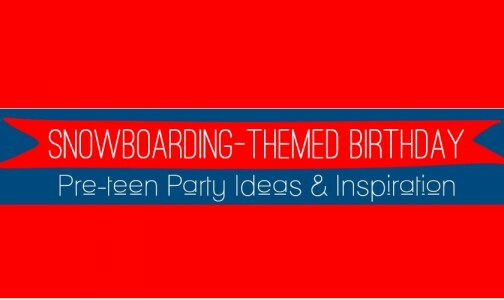 Drop by her post for her resourceful party ideas! - The bright red, blue and yellow palette really gets the summery feel going with a playful beach ball motif: paper lanterns, inflatable balls in different sizes, a garland of tissue tassels, swirly lollipops, cake pops, plus beach buckets and tubs as food pedestals! - Our fave decor element has got to be the “life saver” garland and table runner made from pool noodles! Brittany simply sliced them up with a kitchen knife and assembled them with hot glue. - The free-standing letters spelling SWIM are given a “scales” effect with sparkly blue sequins glued on. While the birthday cake is a store-bought one, given a swirly water effect with additional white icing. - Miniature lifeguard chairs provide such a cute touch, and perfect for displaying push-pop treats. And of course, printables and packaging from Birthday Express complete the themed look. 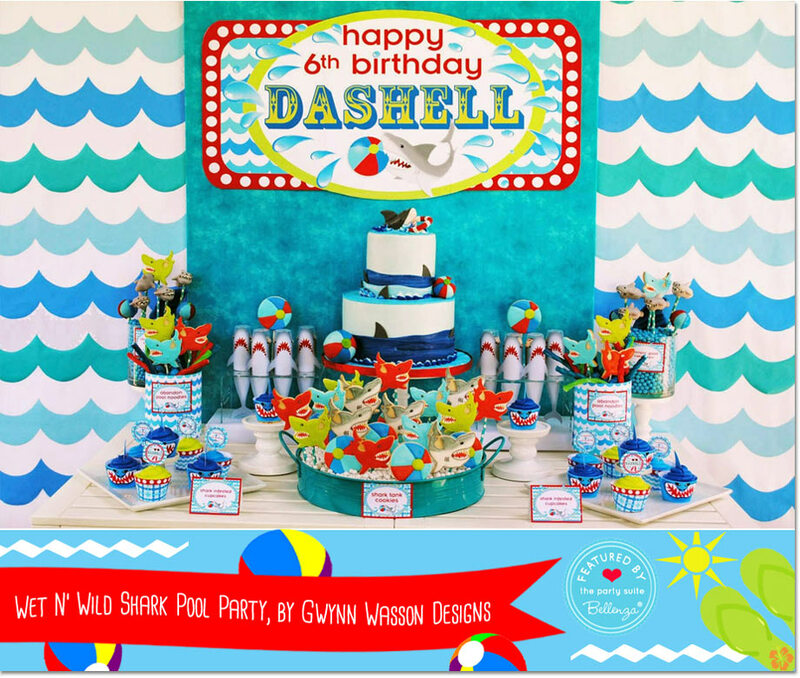 Lucky is the birthday boy who has a mom like Gwynn of Gwynn Wasson Designs to create his fave shark-themed pool party! Head on over to the full post, where the shark ideas are sure to grab you! - For the amazing desserts display, Gwynn created a wave themed backdrop and then set out an array of shark-inspired treats. Check out the toothy-wrapped cupcakes, the “shark tank” full of cookies, licorice “pool noodles,” shark and beach ball cake pops, and red-velvet push pops in shark wraps! - The party cake is stunning, too, with a 3D fondant shark topper, ominous shark’s fins swimming by, and whimsical beach balls to keep it kid-friendly. - The venue decor definitely set the tone, with the approach to the house lined with shark cutouts holding polka-dot balloons and a huge welcome sign over the driveway. Giant inflatable sharks stood guard on the party tables, while even the kiddie stools had life-preserver covers. - The take-away canvas totes, each with a custom beach towel tucked inside, were a huge hit as party favors! 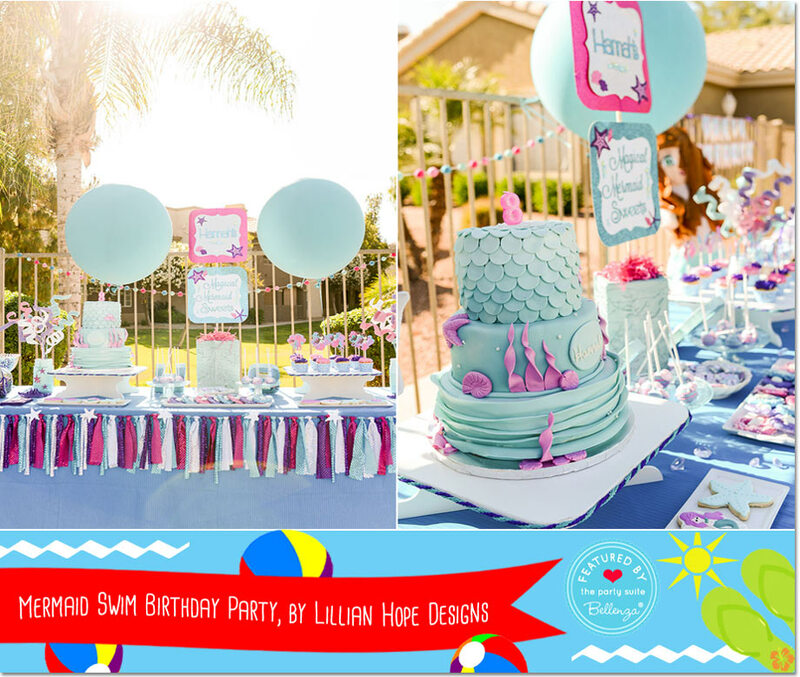 This charming mermaid celebration we found on Lillian Hope Designs was for the daughter of Nancy of A to Zebra Celebrations, using Mermaid Birthday Party Printables by Lillian Hope Designs. If you love what you see, the entire collection is downloadable for free, with editable text. 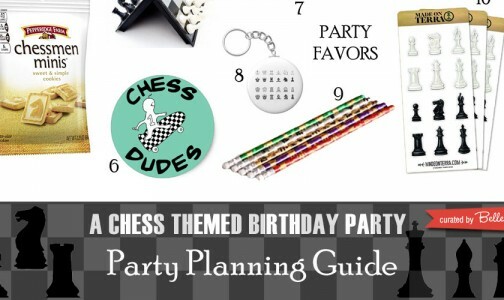 And the matching party details are amazing, too! - Again, color is key. The ever-popular mermaid hues of aqua, purple and pink create such an appealing undersea-inspired scene! - Note, too, how “mermaid scales” adorn most of the decor elements: from the birthday cake embellished with fondant waves and swirly seaweed, to the celebrant’s sequin-covered monogram, to the pattern on all the printables (signs, tags, stickers, labels, candy bar wrappers). - Glitter is everywhere, too, in this girly pool party—sparkling up the signage and even the frosted pink and purple pretzels—along with gemstones on party spoons, metallic fringe tassels, and tulle pompoms. - For the birthday girl and her guests, glittery bead necklaces, fabulous under-the-sea tiaras, and daisy-topped flip flops transform them into instant mermaid princesses! Huge thanks to these 5 incredibly talented blogger-stylists for all the Pool Party inspiration. Now, we can call swim away with a sea of ideas for delighting our summer-time birthday girls and boys! Thank you for sharing such type of blog. It looks interesting and entertaining. I will definitely try one of them. Keep Posting these type of interesting blogs.